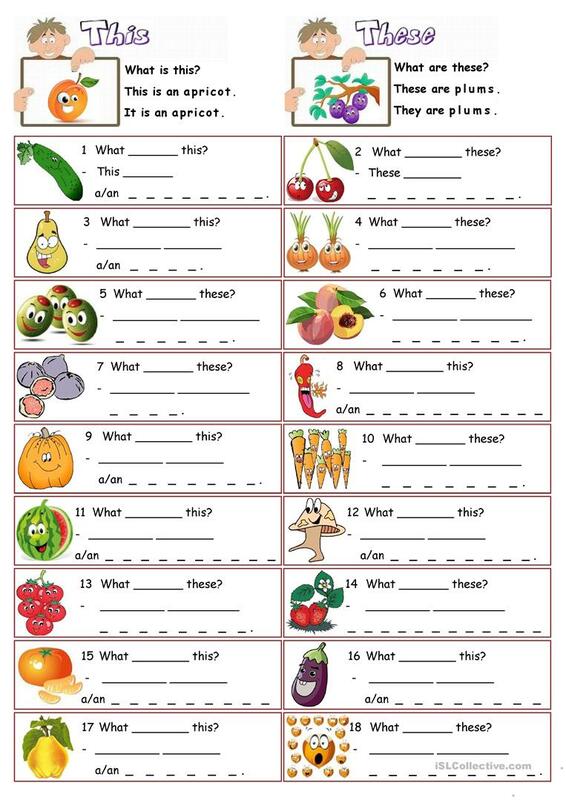 A worksheet for practicing and learning demonstrative pronouns ''THIS and THESE. 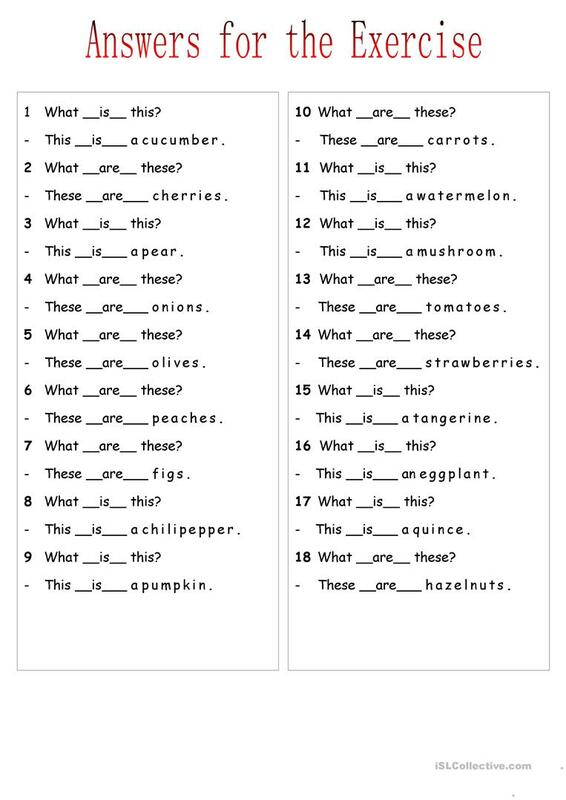 Students also get to practice names of some fruits and vegetables. Solution for the exercise is given. This printable, downloadable handout is a great resource for elementary school students at Elementary (A1) level. It is great for practising THIS, THAT, THESE, THOSE (demonstratives) in English, and is useful for improving your groups' Writing skills. It focuses on the vocabulary topic of Food. There is a key provided with the exercises.